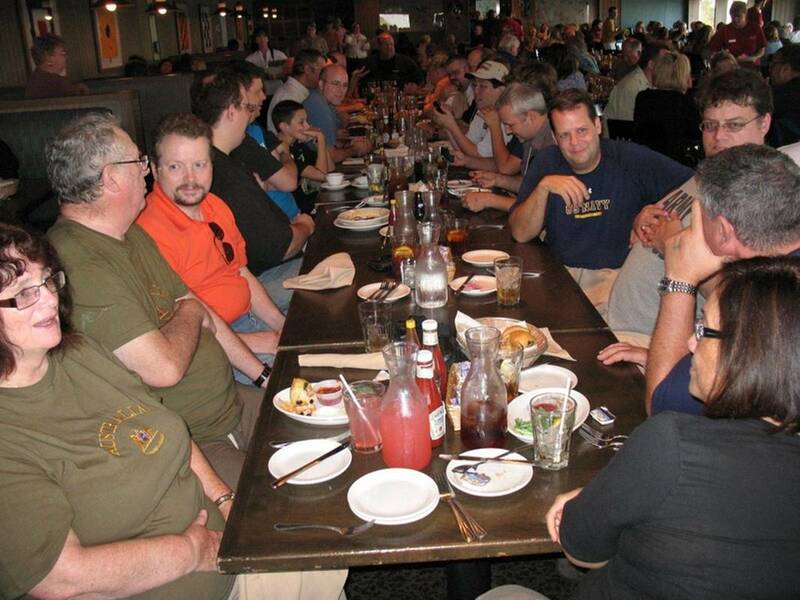 In late September, 2011 we successfully organized and ran our first wargaming convention, Texas BROADSIDE! 2011. 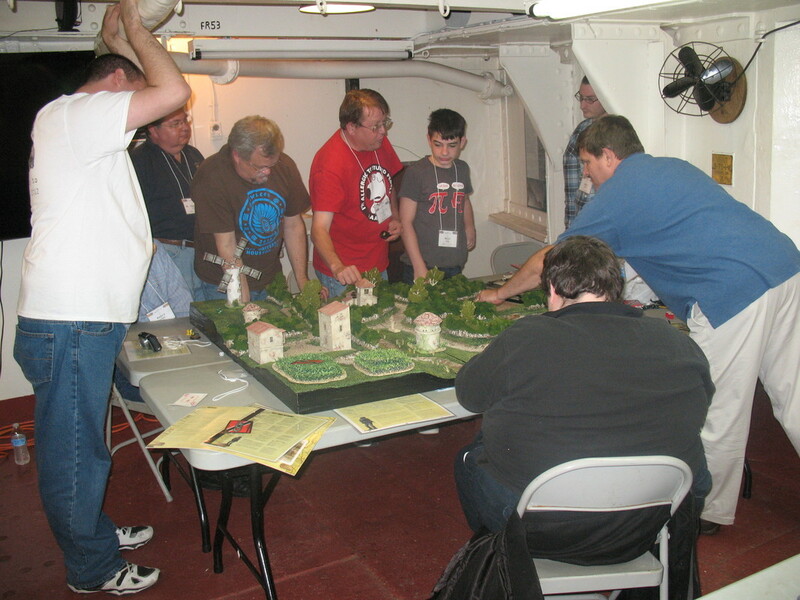 Fifty plus wargamers from around the world attended and enjoyed a weekend of wargaming and camaraderie aboard the USS TEXAS (BB-35). Each October since we've organized and run this event, a wargame convention that we hope to run around the same time every year. Wargames will be available that depict military actions on land, in the air, and above and below the surface of the sea. Several of these games will feature the USS TEXAS herself. Educate the public about military history, and the role of the USS TEXAS in that history, through wargaming. Provide a wonderful historic and original venue where wargamers can enjoy their hobby. Raise awareness and funds, albeit modest, to help preserve the USS TEXAS, enabling her to still be here for future generations. 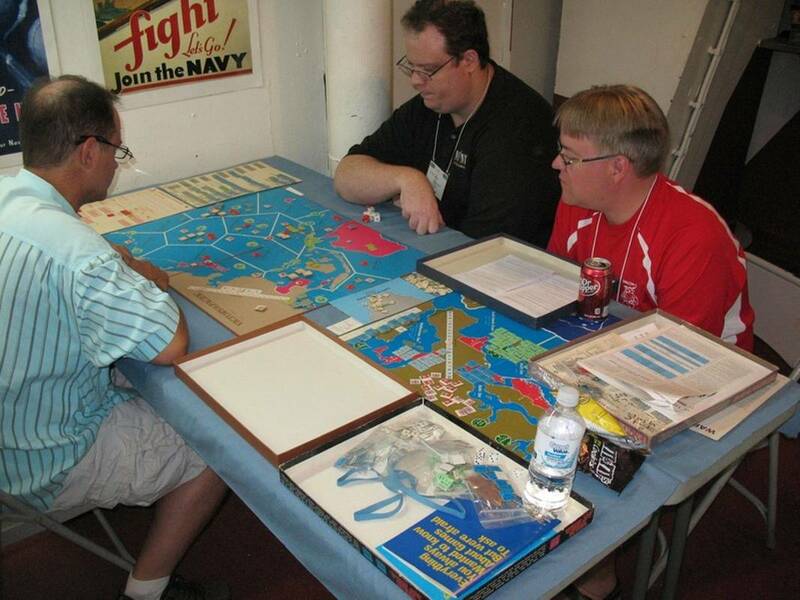 Help enhance the hobbies of historical board and miniature wargaming, in the greater Houston urban area, by demonstrating our games and the enjoyment we get from playing them to the public. ​We would appreciate your help in advertising our forthcoming wargame convention, by word of mouth or by forwarding our web site address to fellow gamers and hobbyists. On our Documents page you will find a number of convention flyers and ads. You can also help us spread the word about Texas BROADSIDE! by downloading one or more of these documents, printing a few, and asking your local game store or hobby store to place them on display for their customers. We are also looking for game masters (GM), volunteers, and corporate sponsors who can support our endeavor with running games, advertising, and prize support. A wargame convention cannot succeed without the assistance of these hard working generous folks. We’ll treat you to a free game-master-only game day and a free convention t-shirt as a reward for your help in making it successful, and as a corporate sponsor we will include your company logo in our program and on our web site. Please contact us using the email below if you would like to help. All of our after-expense convention profit will go directly to the Battleship Texas Foundation, a non-profit organization that conducts fund raisers to help with ongoing preservation and restoration projects aboard TEXAS. The Foundation also runs the overnight educational program aboard ship and conducts tours of the ship to help further raise funds. If you are unable to attend the convention, but would still like to help us help the TEXAS, please consider a $5 or $10 donation, made using our Donation page. Your contribution will enable us to provide a better experience for all involved and help us succeed in our overall mission. Those that support us with a donation will be recognized in our convention program and in the space on this page below. If you have any questions or would like to help, please email us at: mailbox@txbroadside.com.